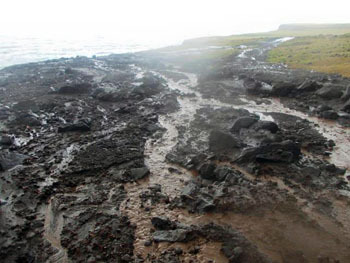 News relating to the landscape and ecology of the main Tristan da Cunha Island. 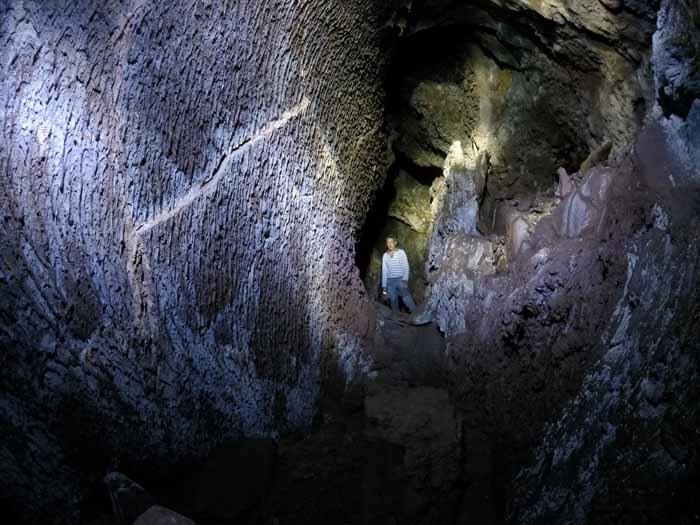 First photographs of a large cave on the hillsides above Tristan's settlement plain. 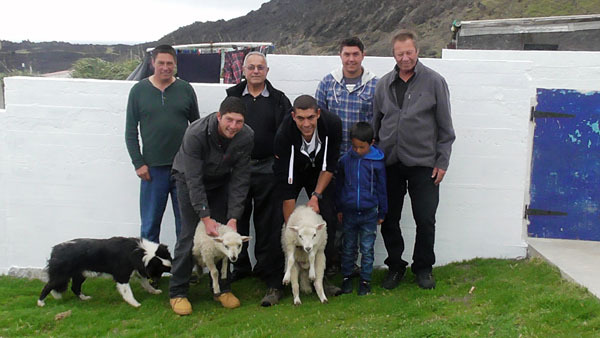 Island men make new find when visiting the far south of Tristan da Cunha island. The Public Works Department has had to clear major blockages on the road to The Patches from landslides caused by heavy storms in early October 2016. 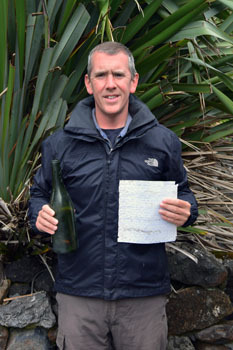 Administrator Alex Mitham found a message in a bottle at Anchorstock on 7th January 2016, put in the sea by a Spanish fisherman near the Falkland Islands in 1999. 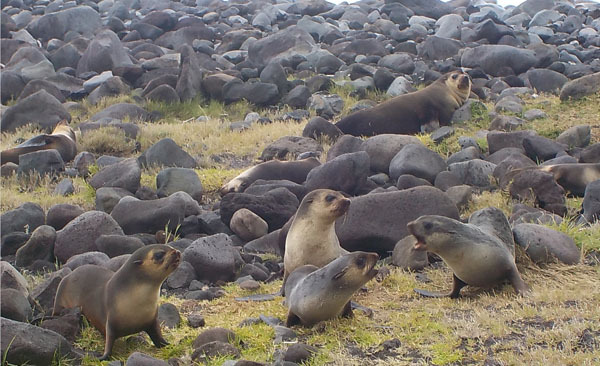 Photograph of a group of fur seals on the settlement plain. 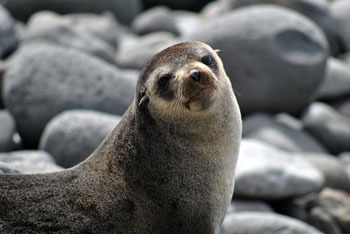 Gough and Inaccessible Islands have been designated UNESCO World Heritage Site 740.